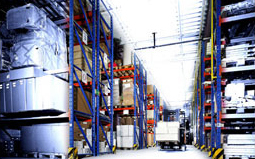 Vmaxx holds a modern warehouse and appropriate logistics. On app. 1.000 sqm our inventory stocks lasts some hundred accessories ready for immediate shippment to our national and international customers. As of july 1st 2005 our warehouse is based in the same building as our business administration. This closeness allows us to speed up all shipments again.